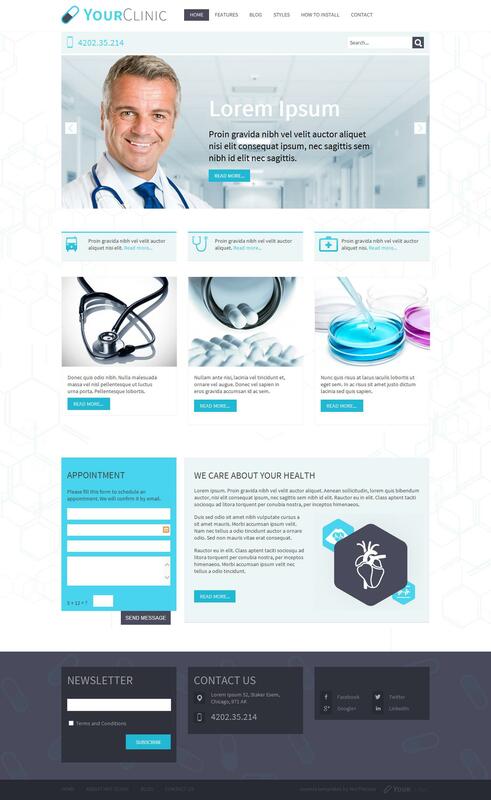 HOT Clinic - is submitted by developers for sites HotJoomla easy template medical subjects, which supports the latest version of the CMS Joomla. To create a professional and high-quality website is available in the template for this required set of instruments. Template has a stylish design that is currently signed three color schemes, typography original styles. Through the use of the studio platform as a platform Sparky Framework, the entire system is achieved overall optimization, support for mobile browsers and all platforms, as well as adaptive functions. To increase functionality, have been added in the template get popular components AcyMailing and K2, as well as several club modules that are responsible for displaying the pages of your website contents.